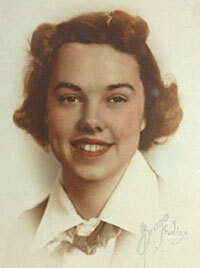 Eilleen Worth­ington (1919- 2012) was from Coupeville, on Whidbey Island, WA. 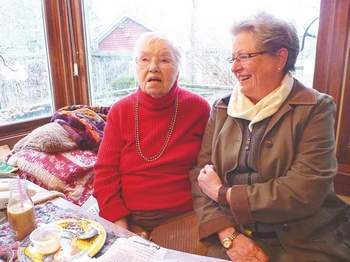 She was a charter member of the Quilcene Historical Museum, and donated the land for it. She was the second wife of Robert Worthington, who was divorced when he met Eilleen in 1973 when they were hiking in Norway. 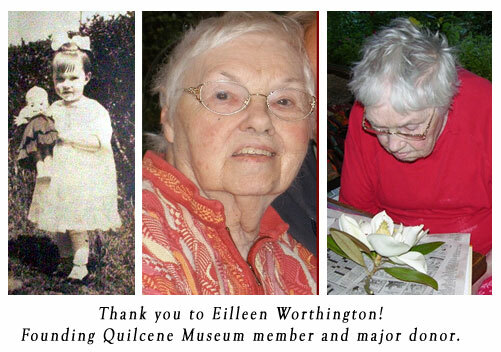 Eilleen Worthington lived in Quilcene since they married in Worthington House in 1974. In 2008, Eilleen was honored as “Honored Citizen” at the Quilcene Fair and Parade. Always supportive of the Quilcene Schools, Quilcene Community Center, Quilcene Historical Museum and other groups, activities and organizations. She has donated time, money, knowledge, encouragement, books and a love of reading to many over these past 34 years. Although Eilleen, at age 90, was not able to join in the parade, the event reminded the community about how the town benefited from her generous and kind spirit. Interviewed in 2011, Eilleen said the idea of the museum buying the Worthington property dovetails with her interest in education and ensures the future of the house, which might be torn down. “Someone pointed out how sad it would be if the family sold it to someone who divided up the property and built little houses,” she said. Robert passed away November 10, 1995. Eilleen passed away May 8, 2012.